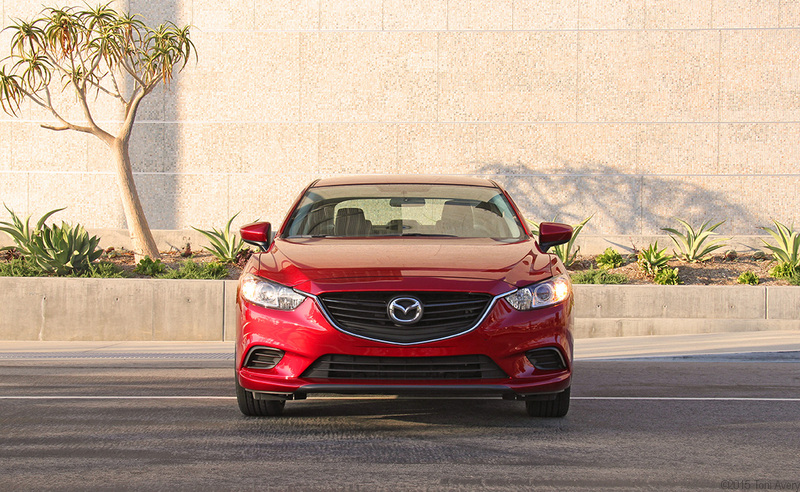 The 2016 Mazda6 i Touring brings the best of both worlds together: practical, great fuel economy, and roomy with sporty styling and peppy performance. These days’ family car buyers, for the most part, have to sacrifice a sporty manual transmission car for a practical one, but Mazda provides this as one of the best options out there. Having previously reviewed the 2015 Mazda3 S Grand Touring 5-Door, it’s almost identical to the 6 with the same great interior, horsepower and torque numbers but with a slight edge in even sportier styling. And then there’s the 2015 Mazda MX-5 Miata Grand Touring, the ultimate in affordable sports car fun. While the 6 and MX-5 cater to two very different customers, Mazda has done a wonderful job of building machines that don’t lose their sports car heritage in order to follow the practical/automatic/hybrid crowd. This Mazda6 features a SKYACTIV 2.5 L 4-cylinder engine pushing out 184 HP and 185 lb-ft of torque mated to a six-speed manual transmission. 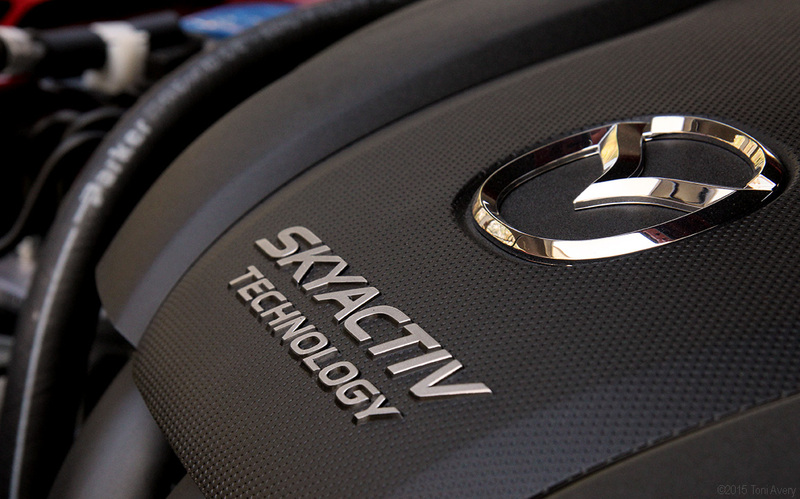 Thanks to its SKYACTIV engine, this 6 gets great gas mileage making it a perfect commuter or long distance car. I took the Mazda6 on a long distance trip to the desert and also used it as my daily commuter for the time I had it. I only went through just over three quarters of a tank. Whether you’re looking for a new family car, something with plenty of room or a car you don’t have to sacrifice the fun of a manual transmission for good fuel economy, the Mazda6 is a great choice. It’s surprisingly zippy for a car of its size and considering its lower end horsepower/torque numbers you might not expect the kind of performance it delivers. Shifts are precise, thanks to the classically perfect Mazda manual gearbox, the pedals are light and smooth all while torque delivery occurs in the low rev range. Steering input is precise but not razor sharp and the 4-wheel disk brakes provide ample stopping power for this large sedan. Overall, if I needed to give up my sports car for something larger but wasn’t about to give up a manual transmission, this would be a top contender. The interior is finished in black leatherette-trimmed sport seats with the driver’s being 6-way power adjustable. Rear seat and trunk capacity far exceed what you’d expect viewing the car from the outside. The 7-inch color screen display houses features including radio, Bluetooth and other control settings. The stereo system was above par for a standard unit, adding to the cars long distance driver appeal. While there was no navigation, I did use my phone’s guidance feature via Bluetooth through the cars speakers for my trip, which worked perfectly. As far as I could tell from the display screen, navigation is an option that can be added at the dealer. I’d opt for that in order to make it a more complete everything car. Materials felt and looked high-end and made for a more enjoyable experience. Even the leather-wrapped steering wheel featured easy to use controls and a telescoping function for the perfect height. Even the electronic parking brake adds another convenience feature you might expect in a car with a much higher price tag. 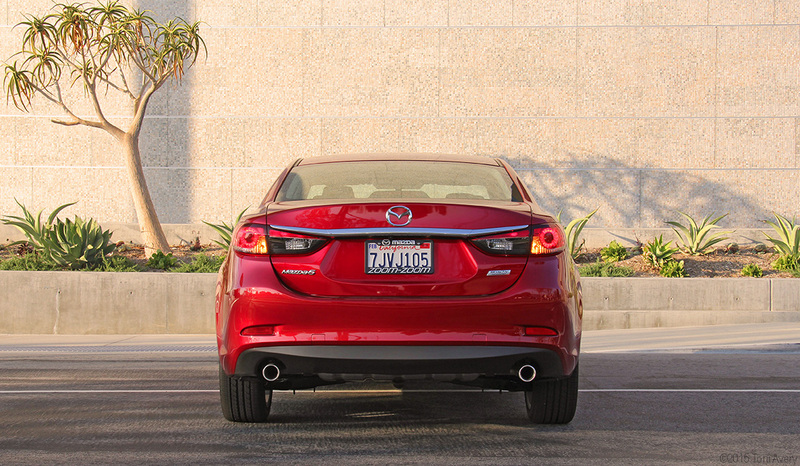 Finished in a gorgeous Soul Red, this Mazda6 looks good from any angle and offers midsized economy/luxury car seekers an alternative that won’t break the bank. Everything down to the sculpted front and rear, to the ingenious profile design creating the illusion of a much smaller car. While the 19-inch alloy wheels leave much to be desired, the overall design makes up for them. 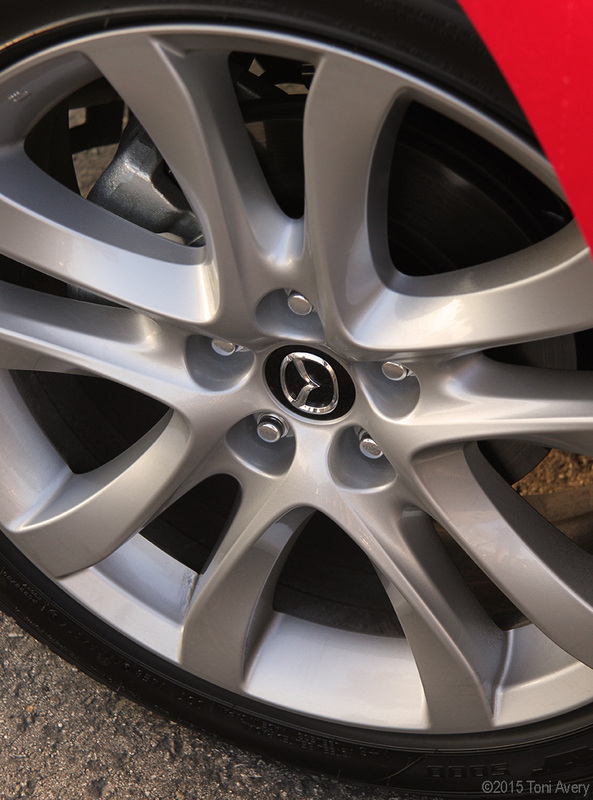 Being the same wheel design that was on the Mazda3, it lacks in interest and the bright silver is stark in contrast to the bright red paint (this can be lessened with a lighter paint color). Keeping in mind the car’s low price tag and that this is just opinion, the wheels are something that can easily be swapped for some aftermarket ones and aren’t a deal breaker for me. There are plenty of cars out there in the midsized economy/luxury car segment to choose from. But how many have an interior with materials as nice as the 6, and an exterior that might make Camry owners jealous? Not many that I can think of. And the best part is that it comes to the affordable price of just $25,265.